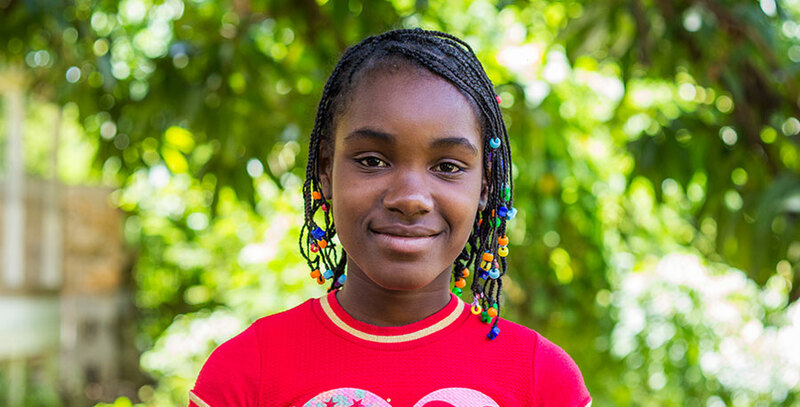 Masseinda is from the village of Les Cayes but came to live here with two of her sisters, Jasmine and Masselene. Her father lives back in Okay and her mother passed away while she was living here at the orphanage. She misses her mother terribly. She and her sisters have a little brother who lives back in Okay with their father. And they have two other sisters who were adopted and are living in the United States. Her job here is to clean the dining room tables every morning. She really likes to study French in school. She would like to become a doctor one day and move back to Les Cayes with her father and brother. She loves running around here with her best friend Marceline and going to church because it is good for her soul. She also loves to eat.